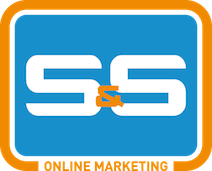 Quick response and flexibility are unique selling points of S&S Online Marketing. For us, this starts with a clear and fair quote for the marketing services we offer. Request a free quote through the form below and receive a quote within 3 hours! Looking for more high quality traffic? Want to increase your e-commerce revenue? Contact us for a free online scan and get a free quote within a day! “Robin is a very hands on work oriented online professional. With his problem solving attitude and his way of opportunity spotting chances within the online environment, I really can recommend him as a person and also as a professional to do business with!" Imagine If You Will No Longer Just want to Show up at Advanced schooling? Creating Compare and Distinction Essay: Should You Tell the Difference?